This charming condo located in the highly desirable North Park area will not last long. This unit is centrally located to everything San Diego has to offer. Walking distance to fine dining and shopping. Adjacent to the prestigious and sought out neighborhoods of University Heights and Hillcrest. 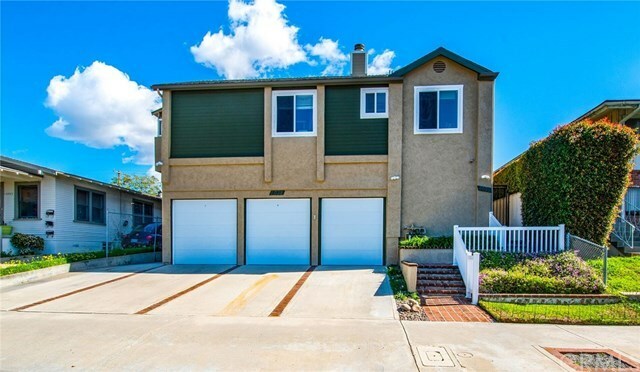 Only minutes away from the world famous San Diego Zoo and Balboa Park. Less then a 10 minute drive to the action packed nightlife of San Diego's Gaslamp District. The 8 unit complex is highly secure with newly installed security gates. This upper unit beams with bright light throughout with high vaulted ceilings in both the living room and bedroom . View the city lights from the private balcony off of Master Bedroom. Enjoy the cozy brick fireplace after a night on the town. Unit includes individual washer and dryer. Ample street parking for guests. HOA includes Water, Trash, and Exterior Maintenance. Perfect for investors or first time home buyers. Hurry this one will not last!